theFoodette & Family: New Name, New Look, Sponsor Spots, & MORE! New Name, New Look, Sponsor Spots, & MORE! What do you think of the new site? I've been toying around with changing things (okay, everything) for a long time now. I think it's working out nicely! It's still a work in progress, so there will be a few more changes in the days to come! For now, though, since I am going out of town tomorrow for a couple weeks this is it! I just wanted to take care of some house-keeping things before I leave...cuz, who likes coming home from vacation to a messy house? Not I. 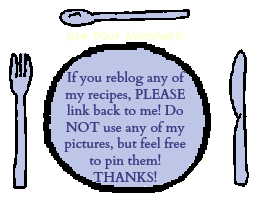 While I'm gone I have some guest posts all lined up, I think you'll like 'em! Also, the Sunday Funday Linky Party will be taking a vacation- I will pretty much just have internet access through my handy-dandy smart phone and I am SO not trying to manage a linky party from an iPhone. SO, the fun will continue in a couple weeks! I have some suuuuuper affordable advertising spots. Want to grow your blog, small business, web-site or shop? I can help with that! Hope y'all have an awesome day! I am working my last day of Lego Robotics Science camp today and then I am off!! YIPPEE! !